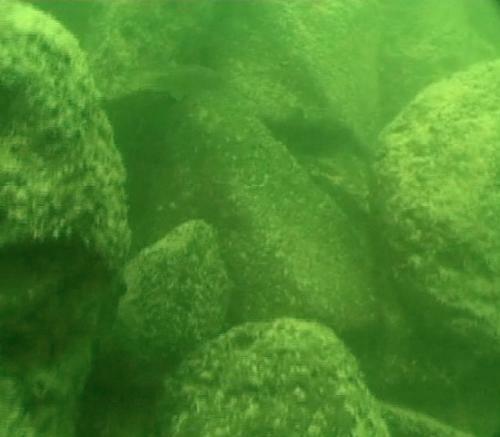 A team of researchers from Tel Aviv University discovered an underwater monument in the Sea of Galilee that they believe may have been a Bronze Age burial site. The cone-shaped structure is approximately 39 feet high and 230 feet across and weighs about 60,000 tons, according to a press release from the American Friends of Tel Aviv University. The researchers published documentation of their find in the March 2013 edition of the International Journal of Nautical Archaeology. Archaeologist Dr. Yitzhak Paz, of Ben-Gurion University and the Israel Antiquities Authority, believes that the structure is approximately 6,000 years old, dating it to the early Bronze Age (3300-2200 BCE). According to Paz, the monument resembles ancient European burial sites and may have been connected to Beit Yerah, which was a major settlement during the early Bronze Age, approximately 1.2 kilometers (3/4 of a mile) south of where the monument was found. The publication is the culmination of close to 10 years of research on the site. The southwestern area of the Sea of Galilee was surveyed in 2003, when sonar technology revealed a large pile of stones in an otherwise smooth area.